Howlin Coyote is pleased to provide you assistance with all special events you would like to hold at the campground.We have hosted individuals and motorcycle groups for their annual meetings, gatherings and weekend get aways. We cater to birthday parties and other events as requested. We work closely with the event planners for individuals and groups and we are very accomodating with special requests! We also will meet your special needs with acquiring specific stock items in the store. Contact us and we will make sure we have it on hand when you arrive. This will make the ride out on the motorcycle more pleasurable! 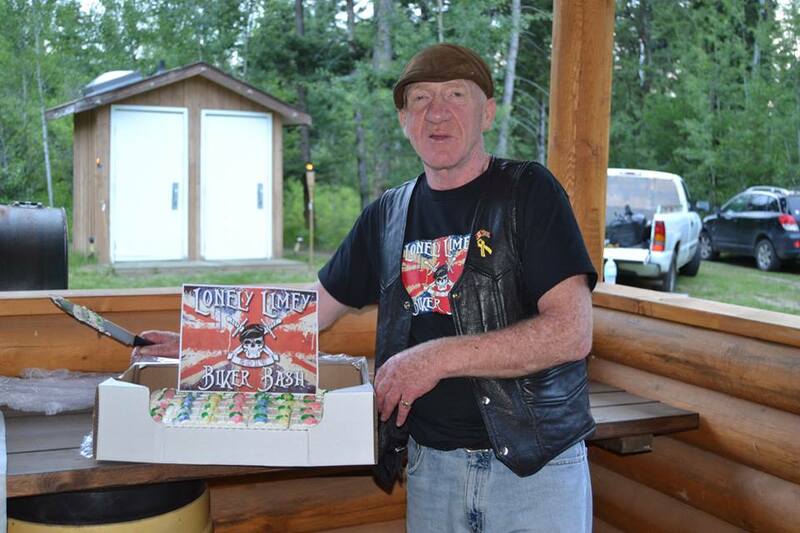 Alan visited us for the "Lonely Limey Biker Bash" during his trip to Canada from Jolly Old England! It was great accomodating Scott Paulines request for this function in 2014. 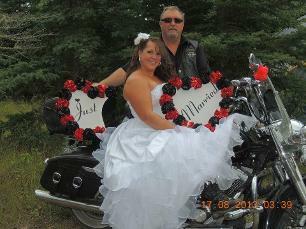 Caper & Suzy Q were married and celebrated their special day at Howlin' Coyote Motorcycle Campground! Congratulations!